I mashed together an old family recipe and The Pioneer Woman’s recipe for chicken soup and I came up with this. Good on a cold day, and if you make it on the weekend you can have it for lunch or dinner throughout the week. 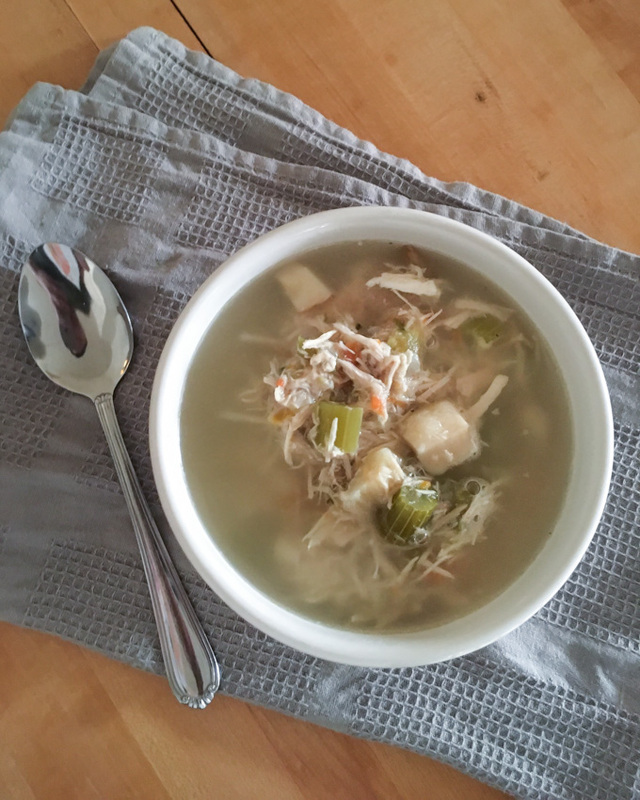 Chicken soup for a cold (or snowy) day. Dice the onion, cut up the other veggies however you like. 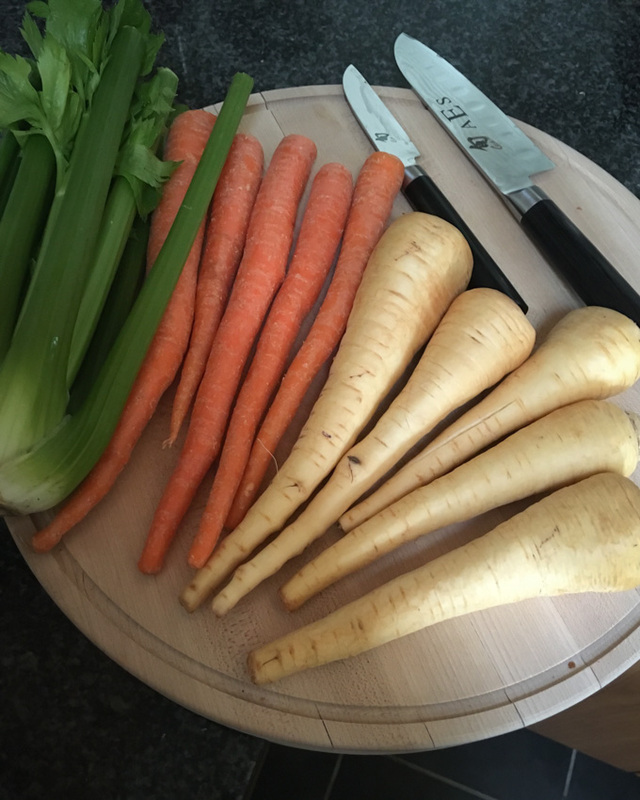 I usually leave carrots in large pieces because my grandmother and her friends always made soup that way, and this is a twist on an old family recipe. 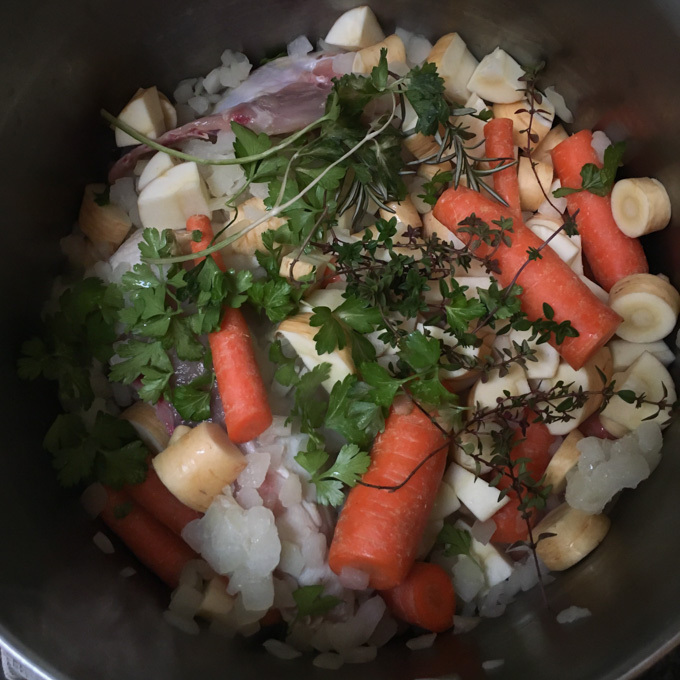 Stick the chicken in the pot first, followed by the vegetables and the herbs. Dump in the unsalted chicken stock. Add water until everything is covered. Turn your burner on medium-high or high, depending on how impatient you are (I use high). Bring to a boil, then reduce heat and simmer about two hours. Carefully take the chicken breasts out of the pot. Let them cool enough that you won't burn yourself handling them. Remove the bones, shred the chicken, and return it to the pot. Ladle soup into bowls and eat! Of course, nothing like a hot frothy soup on a cold day . So sorry for the typos ! I should get my eyes checked! This looks delicious and Jair the thing for a cold day- this weekend , Coe, to think of it! Greta recipe . I would add parsley and rosemary, I love fresh herbs in soup! I love soups like that (minus the chicken)! 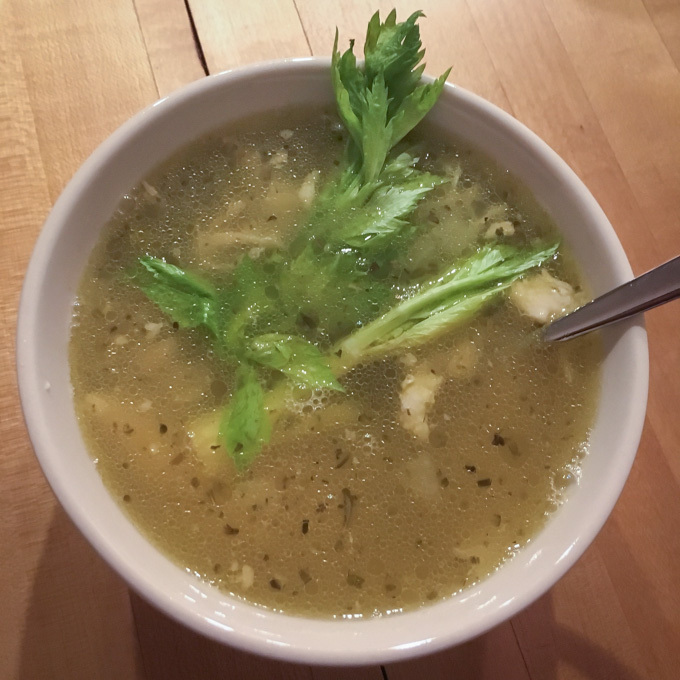 I love chicken soup, it’s a perfect bowl of comfort for winter.